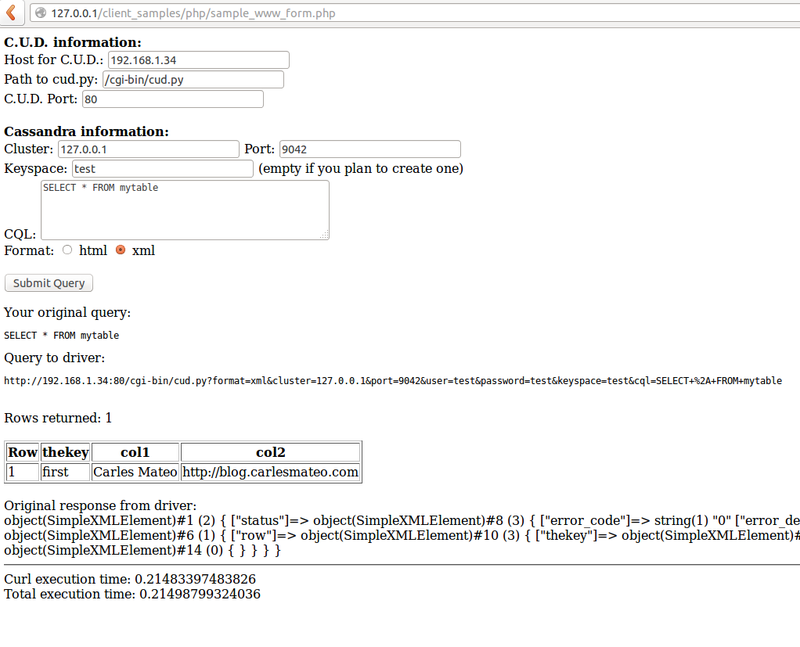 client_samples/php/sample_www_form.php checks if the simplexml_load_file returned false, what means that the XML responded by the driver had a problem/was malformed. This doesn’t have to happen but it is trapped just in case. 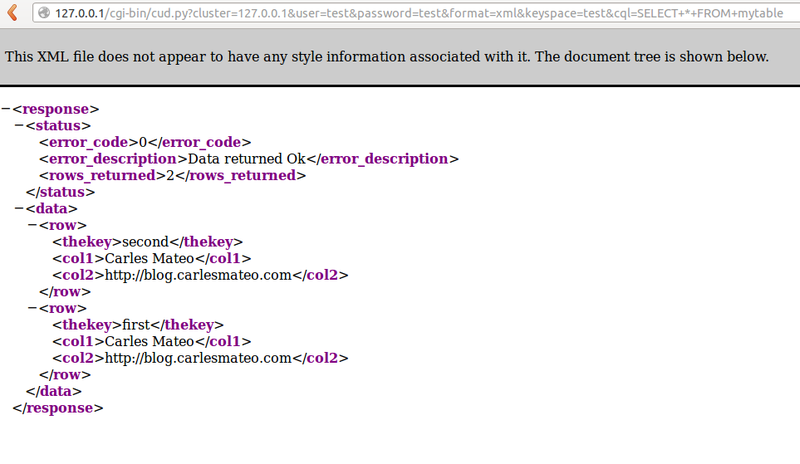 That case could happen if the cud.py had an exception and returned a malformed XML file. This release only deletes the files from Datastax python driver. After the comments of one of their Engineers I prefer to remove all their files from my Open Source solution, and you have to download by yourself their python driver with their license. 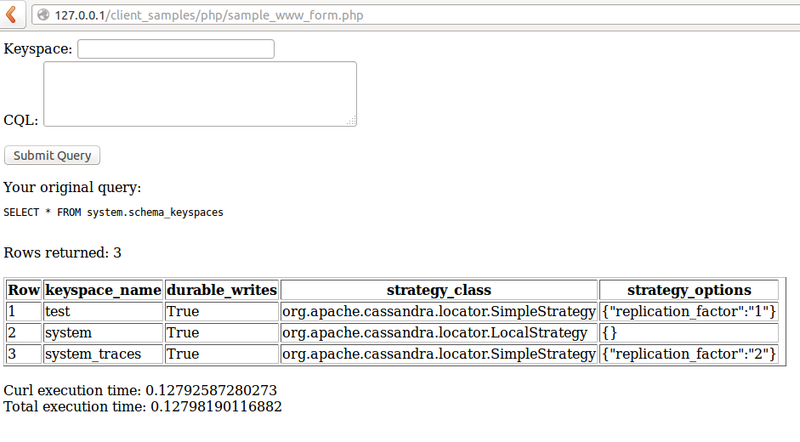 example.py is the sample file. The documentation will be updated asap. Download a Virtual Image for Virtual Box, with all set ready to start. 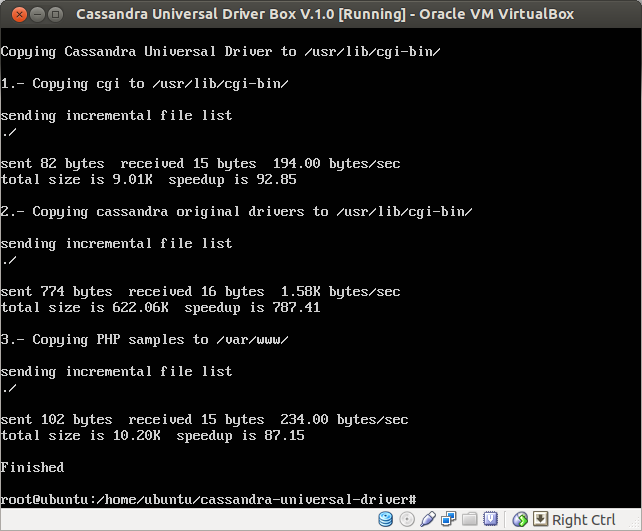 The version 1.14 of the Cassandra Universal Driver has been released. 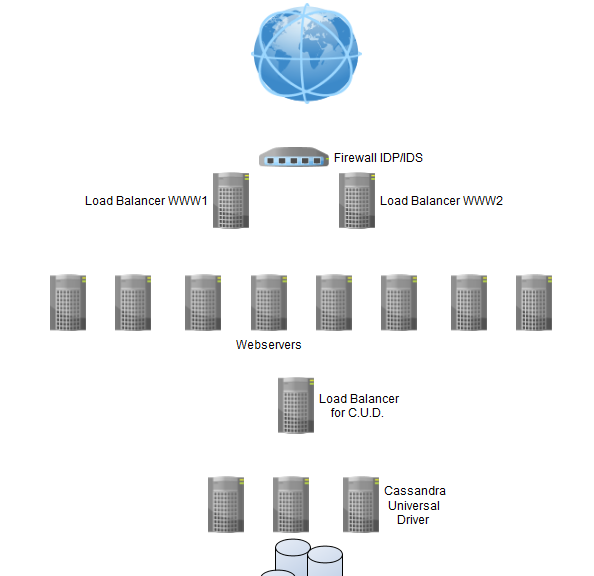 Use the Cassandra Universal Driver to query the database. You can query in text/plain or in XML. Learn more in the Manual. Go to Manual to see some CQL 3 sample queries. Current version is V. 1.16. 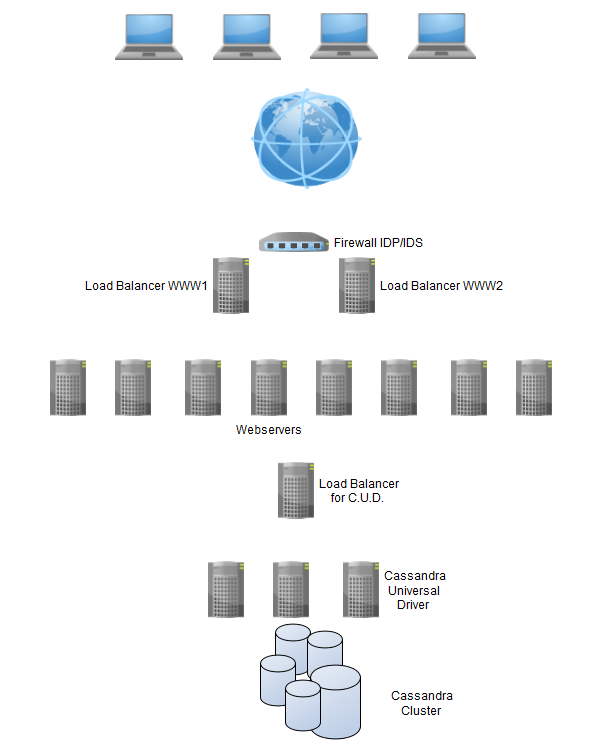 The Cassandra Universal Driver v. 1.0 has been released. Take a look at the Manual for starting.